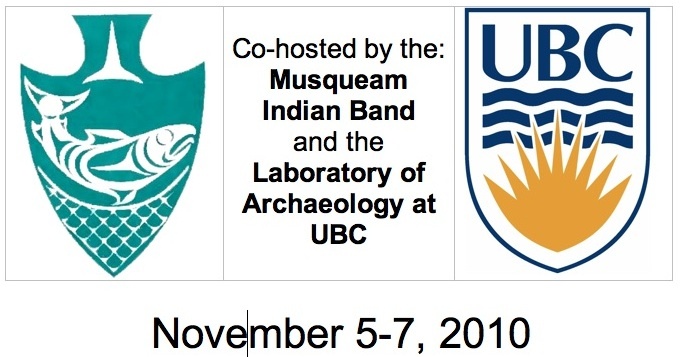 BC Archaeology Forum 2012 is October 26-28 in Cranbrook, hosted by Ktunaxa Nation. Screenshot of BC Archaeology Forum Website. It came up in comments a week or so ago on this blog, but the annual wondering where the archaeology forum is over — it’ll be in Cranbrook October 26-28, with the main day of presentations and a dinner/drumming/dancing on Saturday the 27th. Indeed, the evening festivities are scheduled to go until 1.00 a.m., so it should be a good party. The Sunday field trip will be to a quarry site. The Ktunaxa First Nation will be hosting, for which they deserve all our thanks. The web site for NWAC 2010, to be hosted at Central Washington University March 24 – 27, 2010 in Ellensburg, Washington, is up and running. NWAC is a great conference which we were lucky to host in Victoria a couple of years ago. In case you are wondering where Ellensburg is (no offence), it’s just to the east of the Cascades from Seattle, north of Yakima, about a 350 km drive from Victoria: map. Anthropology at the Crossroads” is the theme for the Northwest Anthropology Conference (NWAC), Ellensburg, Washington, March 24 – 27, 2010. While all submissions will be considered, this conference will offer opportunities for multiple perspectives on where we are as a discipline, society, and species, with a special emphasis on people and the environment. The “Anthropology at the Crossroads” conference will include symposia and presentations on subjects from archaeology, cultural and linguistic anthropology, paleoanthropology, primatology, medical anthropology, visual anthropology, and others. We invite submitters to use their own preposition in describing their presentation/symposia as “Anthropology at/of/on/etc the Crossroads.” Studying the past, understanding the present, and preparing for the future, makes Anthropology even more relevant today as the discipline continues to assert the importance of an appreciation for culturally diverse modes of interacting with our environment. Thus, this conference is a crossroads where the exchange of ideas better prepares us, our students, and our work to serve the communities we live in as we maintain our commitment to exchanging and transmitting our under-standings of all people, in all places, and at all times. “Anthropology at the Crossroads” also implies interaction among sub-disciplines and communities in an integrated fashion and in this manner encourages self reflection on the relevance of Anthropology today at a moment when we appear to be at several global crossroads.